Do Olympiads help students apply to the top Universities ? 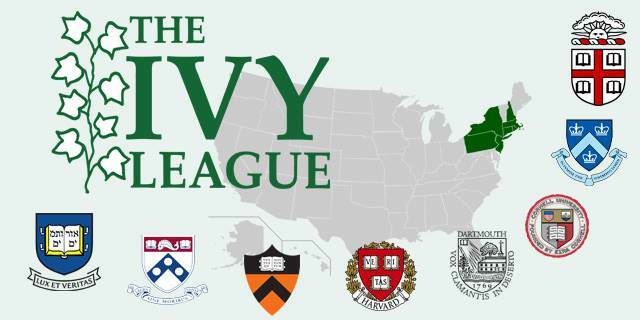 Ivy league applications require extensive proof of extra curricular achievements, leadership, heartfelt personal statements, and a little extra. So how can we prove our child is academically ‘twice exceptional’ besides from near perfect grades, honors classes, AP, higher level IB courses or choosing 10+ A levels ? How can we showcase skills which go beyond ‘mainstream’ school education ? Learning to think deeply and struggle with a problem. Using cunning strategies. Using standard problem solving tools in a different set of constraints. We can think of a Physics Olympiad problem. A student may have learnt basics (Newton’s laws, Maxwell’s laws) and use them in unorthodox questions to reach a solution. It will typically be in large contrast to a textbook problem where students are encouraged to merely memorize formulae applicable to given problem types and plug in numbers. ie the school problem is predictable and generic, to a degree it is repetitive and requires a comprehension of the steps, strong recall and application. The Olympiad problem can only be solved with innovative thought, and this is why it is so much harder ! There is no question a student needs have mastered the materials at school before preparing for Olympiads. For each topic there are certain problem types which are related to Olympiads and which we can learn / drill and get better at. Competitions like these also allow like minded kids to meet and discuss, or realise they aren’t the only ones with ‘special abilities’. So how can a student prepare for the different Olympiads ? Mostly problem-solving, these cover a wide range of topics: kinematics, thermodynamics, electricity, gravitation, spatial relativity. Books like “Physics by Halliday, Resnick and Krane” will give you a solid grasp of the theories and formulae. Emphasis should be placed on calculus too, since a lot of the problems can’t be solved without it. Programming in c/c++. C”/ “Teach yourself C++”, both by Herbert Schildt can help you familiarise yourself with the languages. The Olympiads test for creativity and problem solving. This is where you have to spend the bulk of your time, practicing problems and trying to solve as many as you can. You could look at UVa online judge or www.hackerrank.com, you can work through thousands of programming problems, often categorized by difficulty or topic. These will assist in writing code efficiently to get the correct results. SPOJ (sphere online judge) contains many more practice questions. Both these sites have forums where you can find hints and solutions for problems and queries. This is one of the oldest and widely known Olympiads. Broadly speaking the Olympiad addresses discrete mathematics, number theory, permutations, combinations, algebra and geometry. To brush up on the topics and learn to think critically, “The Art and Craft of Problem Solving” by Paul Zeitz is a great book! If you can complete this (fairly large) book, you will definitely have a great chance of acing a national level competition. A strong aspiring Mathlete should always check out past Olympiad questions. A great result in any Olympiads automatically distinguishes a student and elevates his/her university application. 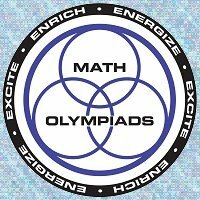 Mathemagic highly recommends participating in Olympiads and provides support from expert tutors to interested students! While Olympiads can be quite fun, they do require extensive prep to do well in! Inevitably Olympiads help pique the interest of a mindset which is capable of leading / innovating / creating. For future world movers and shakers, Olympiads are a great platform !! Why don’t you try solve the question below. What is the fastest way to solve it ? Can you find the number of cubes in the following image ?